These are the official Heatblast licensed characters, Heatblast. Heatblast was the first alien that Ben 10 transformed into in the original series. He is living magma, made up of a bright inner magma body with a red crust. Heatblast generates intense heat and fire and is the master of all things scorchio! To defeat his enemies he uses flaming punches and shoots balls of fire from his hands to set them ablaze. 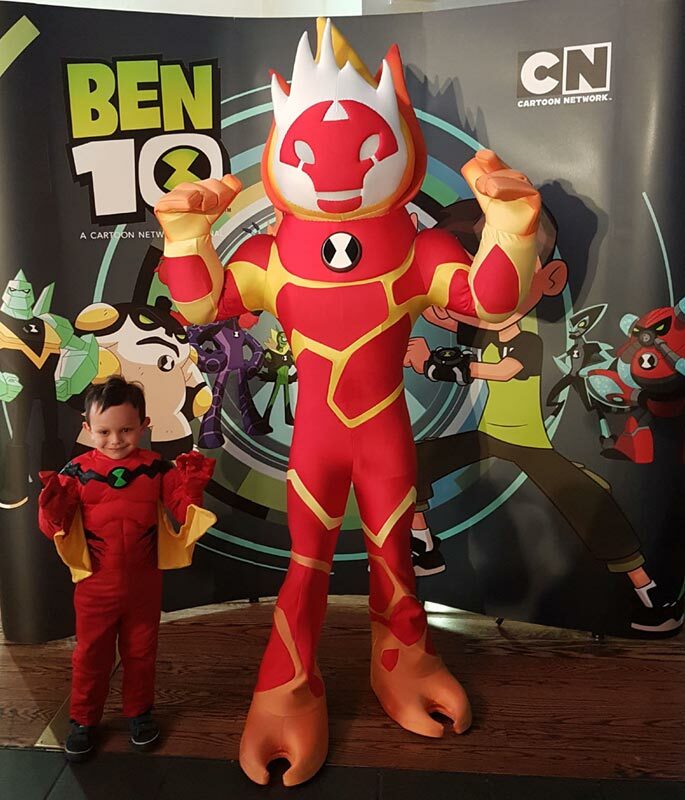 Heatblast from Ben 10 is available to attend UK events.